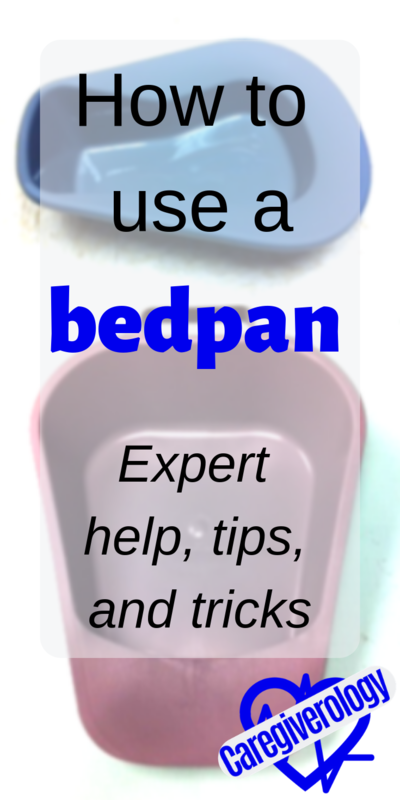 While using a bedpan may seem simple enough, it really is easy to improperly use one. Here are a few helpful tips for you and your patient on bedrest. There are a few different kinds. The standard kind is decently sized and has a somewhat oval shape to it. These are the most common. 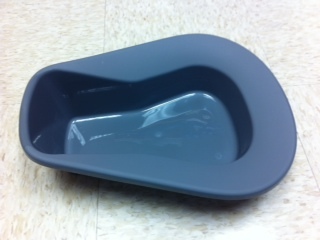 For patients with a hip fracture, there is a fracture pan. They are much smaller and are almost completely flat on one end. An ergonomic pan is the only type I have never used before. They have a protective covering that goes over the front of the pan to avoid splashes. They are made of either plastic, metal or glass. I have only dealt with the plastic ones personally and they usually work fine although they can be hard to clean after a patient has had a bowel movement and will bend with really heavy patients. A quick fix to prevent bending is to stack one on top of the other for double the support. 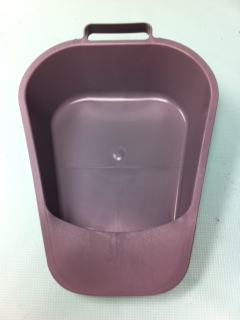 It is very easy to put a bedpan under the patient incorrectly. I have many times myself but I've learned what works best for most patients. Some are able to lift up their bottom and let you slide it underneath them but most will have to be turned onto their side. First, you should make sure the bed is laying completely flat if it is adjustable and then you should turn the patient onto their side. You may need help turning them depending on their condition. Then place the bedpan directly under their bottom and have them roll back. You should always double check and make sure it is still evenly placed under their bottom once the patient rolls back. Just because it was when the patient was on their side doesn't mean it'll stay that way. If the bed is adjustable, you should raise the head back up so the patient feels more like they are sitting rather than laying. This just makes it a little easier for them to go. The hardest part, at least for me, is getting the bedpan positioned to where it won't spill in front of a patient when they urinate. This is because when a patient is laying down with their legs together, the urine doesn't always flow straight down. It can run down their legs a little bit before falling into the pan. To compensate for this, I always put the front of it a little farther down to the patient's legs so if that happens, the urine still ends up in the pan instead of in front of it. Of course you still want the back of the pan far enough to catch the stool if they have a bowel movement. Getting that balance may seem challenging at first but once you find that spot, you can repeat that placement over and over again even for patients of different sizes. Always take the bedpan out from underneath the patient in a timely manner, 10 minutes at the most. Leaving it under them for long periods is not only uncomfortable, it can also cause bed sores to form. Once they are done, you should of course provide perineal care before and after taking it out which can can also be a challenge. Before they begin to roll, have a good grip on the pan and make sure it doesn't roll with them. Then slowly slide it away without spilling or sloshing around the urine. 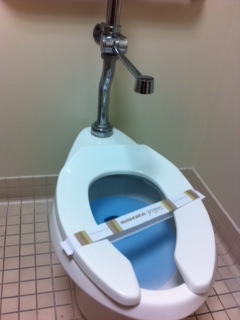 Finish providing perineal care and change out their incontinence pad or adult diaper if a spill did occur. After everything is dry and in place, have them roll back and empty the contents in the bedpan in the toilet. If you are in a hospital or similar facility, they most likely have a washer head attached to the toilet specifically for situations like these. Rinse it out or wash it out with washcloths or wipes. Just get it completely clean and ready to use for next time.